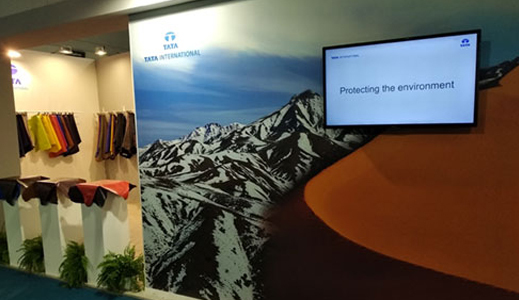 Tata International’s Finished Leather business exhibited its Autumn Winter 2019-20 collection at Lineappelle, the flagship trade fair in Milan, Italy. In addition to the collection, the business also showcased its newly launched products: Cow Super Softy Patent, Aniline Kid, Kid Suede, Sheep New Age and Sheep Patent. 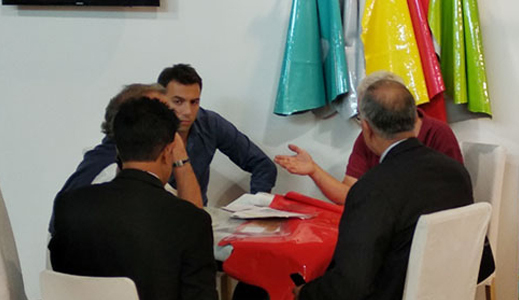 The event was held from September 25–27, 2018, and the Tata International stall was visited by major brands including Gabor, Peter Kaiser, Hogel, Josef Siebel, Lloyds, Caleres, Wolverine, H&M and Vagabond. The trends at the fair were Foils in various fashion articles, Patents with crinkle effect, Goat Suede, and Printed articles. The Tata International collection was well in tune with the trends. Overall, the exhibitors have increased by four per cent and the visitors by two per cent over last year’s event.